Snake! The very word seems to evoke a feeling of terror in the mind of the average person; but if one has better knowledge of these creatures, one can see that much of the dread is misplaced. Here are some FAQs (Frequently Asked Questions) about snakes, answered by P Gowirshankar, a herpetologist who has been actively associated with the Agumbe Rainforest Research Station (ARRS), which has had the only telemetry project for tracking the King Cobra in that region. 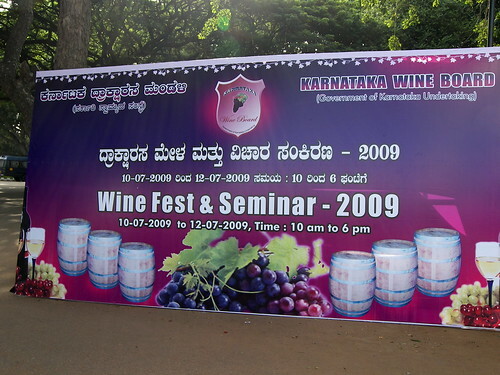 Gowrishankar is at present located in Bangalore, pursuing his doctoral studies. 1. I see a snake in my yard or house, and I don’t want to go close to find out if it is poisonous or not. My first instinct is to panic. What should I do? Will my actions be different in case the snake is quiet, and in case it is moving about? What if it is in an odd place where it cannot be easily dislodged/chased off? Yes, the first instinct is to panic, nothing much can be done about that. If you are aware and can do it, do your best to replace that fear with knowledge and act accordingly. If the snake is moving constantly keep a watch on it from a safe distance. If the snake is coiled up or resting nothing much to worry, do not disturb it but do keep a watch. Call any of the animal welfare organizations in Bangalore and they will help retrieve the snake. * Calm and reassure the patient. Only a small percentage of snakebites prove serious. Panic can increase the heart rate and speed the spread of venom in the body. * Remove any constricting items worn by the patient such as bangles, bands, bracelets, finger rings, watch and so on. * Completely immobilize the patient: Lay them down and keep them still. Splint the bitten limb to prevent movement. * A bitten leg should be splinted from below the ankle to the top of the thigh, and then strapped to the other leg to keep the entire lower half of the body still. A bitten arm should be splinted from the fingertips to the shoulder, and then strapped firmly (not tightly) to the side of the body. * Keep the wound clean; do not apply mud, manure or other poultices, if the wound requires washing use uncontaminated water to gently clean it. * Do not allow the person to walk or move about; keep them completely immobile and take them to hospital as soon after the bite as possible. * The victim should be kept warm. Watch out for the general symptoms (listed above) and inform the doctor. The only remedy for venomous snakebite is anti-venom serum. Polyvalent anti-venom serum is effective against the bites of the Big Four: Common Cobra, Saw-scaled Viper, Common Krait, Russell’s viper. Note: Only if safely possible, try and get a good look at the snake (or photograph it) to help the doctor identify it, and treat the bite accordingly. * Do not give sedatives to calm the patient. * Do not tie an electric cable, string or rubber tourniquet or ligatures, and do not cut the bite site, or the bitten limb. * Do not use ice packs, electric shock or suction at the site of bite. * Do not elevate the limb. * Do not use potassium permanganate. * Do not let the patient walk or run; keep them absolutely immobilized. * Do not give food or water, as both may be a choking hazard if the person vomits. * Do not waste time with quack ‘remedies’ such as ‘snake stones’, or chanting mantras. Go for anti-venom serum without delay. 3. Where would I be able to get snake anti-venom in Bangalore? Anti-venom is stocked in most leading hospitals of Bangalore, including Manipal Hospital, Baptist Hospital, Mallya Hospital, Bowring Hospital and St John’s Medical Hospital. 4. Should I administer anti-venom in any case? If the snake was not a poisonous one, will the anti-venom have bad effects? No. Medical assistance is mandatory as it has to be administered through intravenous means. It is best for doctors to take a call on whether to administer anti-venom after observing the symptoms. Unnecessary use of anti-venom may cause allergic reactions. 5. What should I do to prevent snakes from entering my garden or home? I know they are good for the ecosystem, but I don’t want to deal with them. Keep the garden clean and free from mounds of litter. Keep flower pots away from doors and windows and do not stock them close to each other. Make sure there are no rats breeding in the garden or in the house. Keep the place well lit; else use a torch to move around. 6. Is it true that snakes are to be found where there are termite mounds? Not necessarily. They need to regulate their body temperature so depending on the temperature, humidity, habitat and prey base they select resting places, and a termite mound is just one such resting place. 7. Is it useful to call in a snake-charmer? If so, how can I locate one? 8. Are there any common misconceptions about snakes in urban areas that I should be aware of? c) Talking about snakes at home is equal to inviting them. 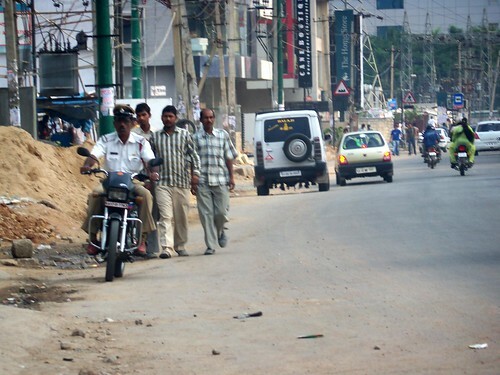 Place Domlur Kormangala inner ring road – Sunday late noon today, a traffic officer rides his bike without helmet and in wrong direction, looks like ‘charity is yet to begin at home’.. 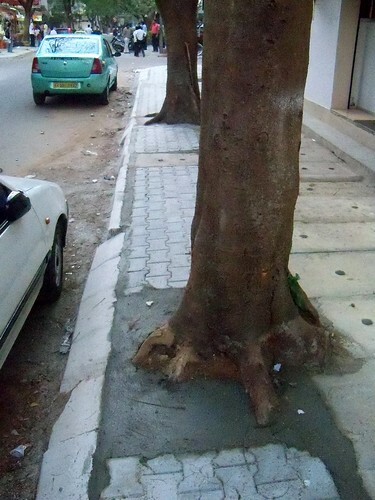 The garden city is losing trees like never before, the new drive for pavements in Indira nagar is yet again proving fatal for trees as unsupervised contrators use their wisdom to lay concrete at the tree roots limiting the growth… Is the BBMP watching? for weekend of Interactive Theatre Double Bill ! (Dec 12 and Dec 13). Showcasing two unique interactive Theatre formats. Dont make me laugh is done in Playback Theatre Style where actors enacts reactions and stories of audiences on the spot. Mushaira Theatre, where actors create shayari on the spot, even creating compositons based on reactions by audiences on the spot. Play in the mud – cross country cycling championships! I’ll let this picture speak for itself! Inviting all enthusiastic bikers to get out there to come out this Sunday and participate! Posted in Uncategorized | Comments Off on Play in the mud – cross country cycling championships! quality testing, water diseases and more” at JP Nagar on 11 July, Saturday morning. will run for around 1.5 hours. at JP Nagar on 11 July, Saturday at 12.00pm to 1.30pm. Posted in Activities, Announcement, City, Environment, Events, Government & Administration, Health, Infrastructure, Initiatives, Social Initiatives | Comments Off on "Know More About Water"